At Winshuttle, we’re passionate about data and how important it is to your organization. In my role as a Business Development Representative, I speak to a vast number of people from different areas of the business, at all levels and I have a confession to make – I don’t know everything about ERP data. How could I! Nevertheless, I am a millennial on a quest for continuous learning, and I’d like to share a conversation I often have with my colleagues here in London about data migrations. 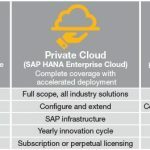 Thea: Chris, I’m seeing a lot of these project teams pop up within large organizations – why are they always so stretched and stressed when it comes to new SAP implementations, SAP re-implementations, data migrations, and mergers and acquisitions? Chris: I know they certainly want to become more strategic in terms of completing projects efficiently, effectively, and on time. However, they’re often caught up in the basics of data collection and validation. A lot of these project teams don’t realize using Winshuttle can shorten their entire project lifecycle. The big picture isn’t just using Winshuttle for automation and data migration, it can also be used for projects down the road that you haven’t even looked at. This critical cleansing part of the project typically assumes so much of the process improvement/project success teams’ working capacity. 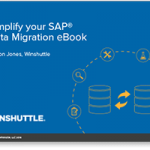 Winshuttle uses Excel as a front-end to push data into SAP through an easy intuitive tool that anyone can use with minimal training. Another key area of the project lifecycle that can determine how successful a project will be after the implementation phase is the data curation process. The collection of data from a number of different people across different departments and/or geographies can be tricky. Winshuttle’s workflow tool enables you to easily create data, and add validation checks to review data prior to entry. 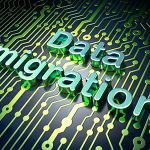 This improves your SAP data quality and reduces the overall effort for data set-up and clean-up. No matter how good your set up is or project implementation, projects will almost always run into firefighting mode towards the end to correct and input missing data. 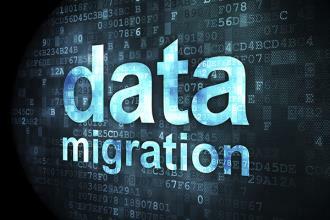 Because of Winshuttle’s speed and flexibility, it’s also frequently used to update data en mass at very short notice. Enabling people that are closest to the data and closest to the business is fundamental in the proposed shift from how projects are currently run to how they can be with Winshuttle. In this world of forever shortening project times and adapting to new technologies, I hope my insight into some of the daily conversations and intriguing moments our customers and prospects are having can open new ideas moving forward. Thea is a Business Development Representative, who has been part of Winshuttle for the last 2 years helping customers transform their SAP business across areas like Finance, Master Data, Supply Chain and more to achieve their strategic goals.